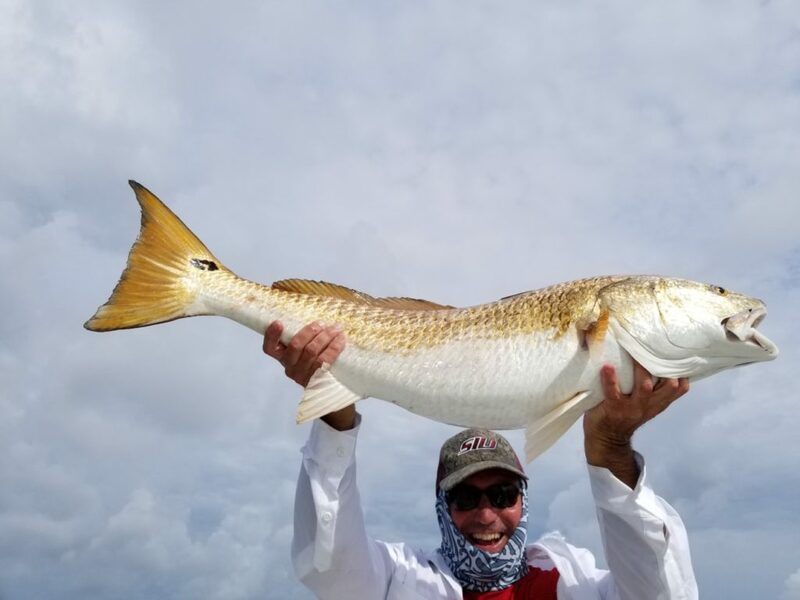 Everyone talks about Red October for big bull redfish, but bull red fishing is a year around thing in Louisiana. This gives us a lot of targets throughout the year to collect data on presenting a fly correctly. 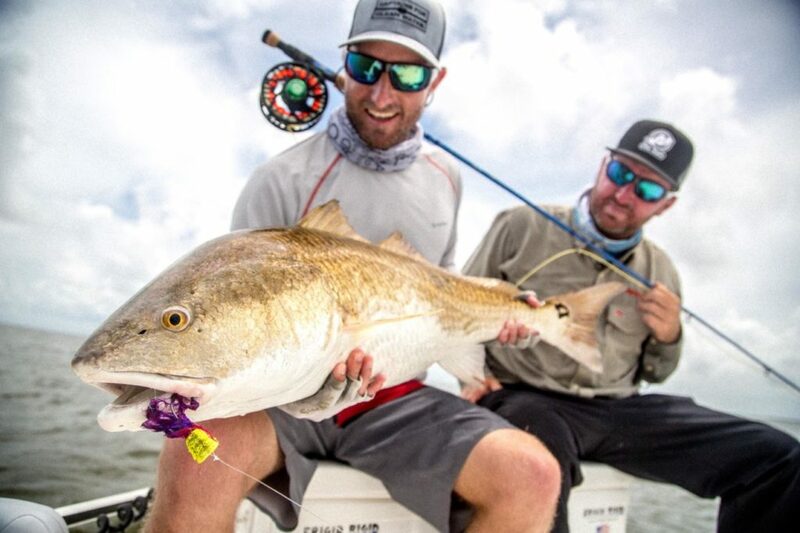 Fly fishing for redfish is not like any other fish you will fish for on the fly. Redfish are by nature an eating machine and very aggressive fish. 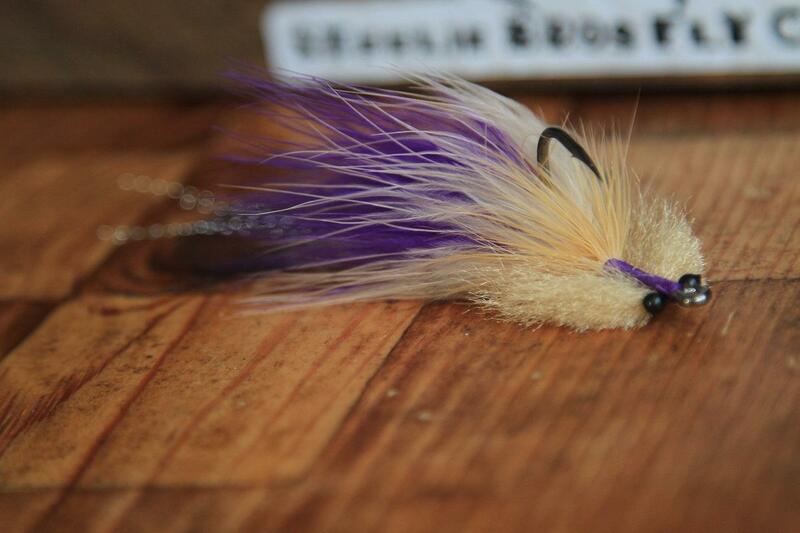 This makes them a great fish to learn to fly fish and improve your fly fishing skills. If you miss your target, even by just a little bit, most of the time they will still come eat or at least look at your fly. 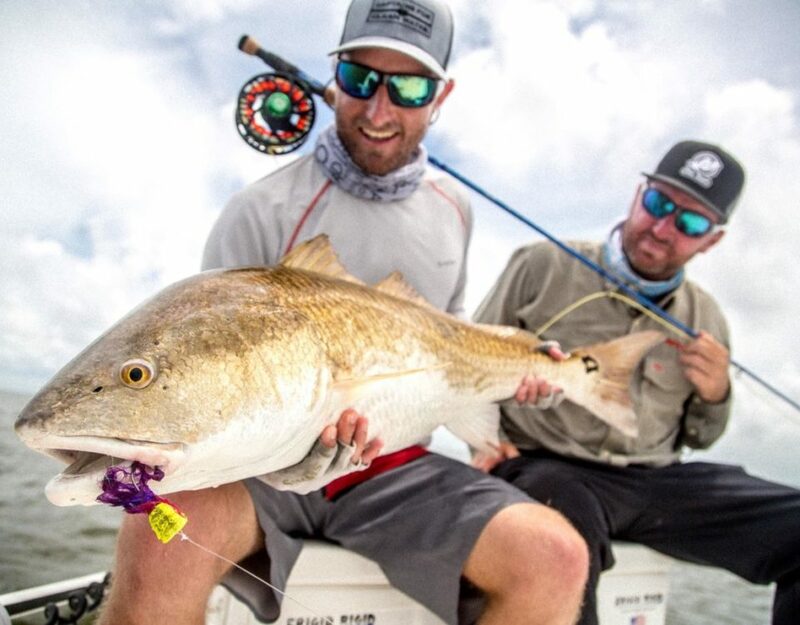 This mistake is a learning tool and most of the time; you will be able to get more shots on redfish on a daily basis to sharpen your fly fishing skills. The more fish you cast at, hook, and fight increases your fly fishing skill set. The basic rules of fly fishing presentation still apply and should be internalized in your mind. Things such as cast the fly line on the fish (lining the fish), don’t lead the fish enough your fly won’t get down to the redfish, lead too much and the fish turns off. Attacking the fish with your fly (bringing the fly across at wrong angle), and your fly will be moving towards the fish and it will spook. Understanding how the fish eat and react to their prey in the location is one of the most important items not to overlook. Most clients that come in to fish with us are not educated on our fish, how to read them, and how the client needs to react when fly fishing for them to be successful. So, we have developed a system where every client is talked through different scenarios the night before the trip, the morning before, and during the day with their guide for the day. Some might call this overkill, but as a professional guide our only job is to make sure our client is successful. A professional guide should teach a client several things during the trip. You can do everything right in fly fishing and still not get the eat or land the fish. This is what is so addicting about fly fishing. 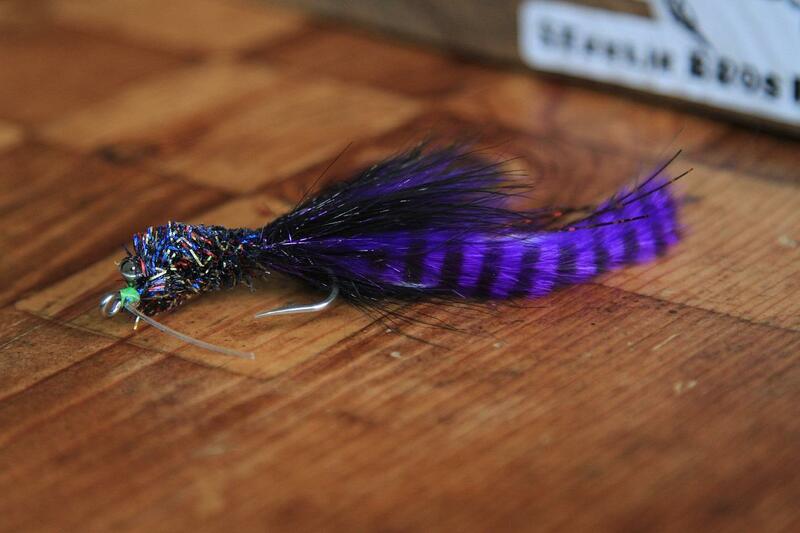 The bow is where all the magic and disappoint occurs for fly fishermen. The client should have a mental game plan that they use each time, can produce it quickly, under any circumstance perfectly, and repeat 100’s of times in a day. Yes, you need to be in shape to have success on tough days while fly fishing. Can you make 200 casts in a day with an 11wt rod, can you stand on the platform in 15 to 20 mph winds, how good is your back-cast, and can you mentally take it? Prepare yourself mentally for one epic shot a day at a large fish. Stand on a platform or a bucket in your yard for 20 minutes and never make a cast. Then have your wife or kid, scream monster fish at 10 o’clock and 30 feet and moving left to right and make two false cast and put the fly down. It sounds goofy and crazy, but it works. Have your fly ready, already wet, and in the casting position. Use your fly rod to point at the target and line up your body to make the cast. By pointing the fly rod at the fish it allows you to start your cast on the right plane. Keep your rod at stomach level and point rod tip down when striping line. Communicate with your guide about boat position, when is it time to cast, and how to the work fly. Communicate the entire process. Contact your guide before your trip and ask what flies you will be using and rod weight. Once you know this go practice with them three days a week for 3 weeks before the trip. Learn to fish close and when out of line room learn to use rod to move fly, if fish is following. Practice casting at items on the water during the day to keep your skills sharp, you will know how the wind, current, etc. is affecting the fly, and finally keeps you in the game.